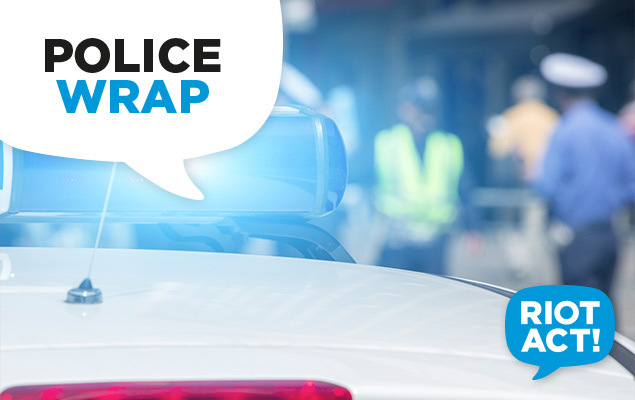 ACT Policing has arrested a 28-year-old man from Queanbeyan after he stole a car and breached bail conditions on Sunday morning (8 February). About 9.20am, the owner of a silver Mazda RX8 started the vehicle in his driveway at Dunlop and while it was running, left it to get something from his house. When he returned he noticed the car missing. A short time later a woman walking her dogs on Wambo Place, Palmerston observed a silver Mazda sports car enter Wambo Place, fishtailing down the road. She quickly moved on to the footpath away from the path of the car. She also observed the car speed past a small child riding a bike. Around 10am the driver pulled up outside a house at Wambo Place. When he left the residence in the car he attempted a burnout but lost control and was seen by residents to fishtail down the road. At 12pm, an off duty police officer observed a man acting suspiciously outside the Gungahlin Leisure Centre and reported it to ACT Policing Operations. After seeing police, the man fled on foot but after a short chase he was arrested. During the arrest, a police officer and the man were injured. The man was treated by ACT Ambulance Service and taken to The Canberra Hospital for treatment. He will be charged with two counts of breach of bail, take motor vehicle without consent, common assault, and burnout and reckless /dangerous driving. Anyone who may have witnessed a silver Mazda RX8 driving yesterday and has not yet spoken to police is urged to contact Crime Stoppers on 1800 333 000 or via act.crimestoppers.com.au.